Some readers may already know Trish, either from her role as National Field Archery Society president or from the European bowhunter championship which she regularly attends. I know her from the many NFAS shoots she attends, up and down the country as she continues her “presidential” tour, trying to get to as many NFAS shoots as possible. Before then though she has been a familiar figure at NFAS Championships, as a competitor. I was lucky enough to catch up with her recently and she agreed to be the subject of this walk and talk session. Rob – For those people who don’t know you, how would you describe yourself? Trish – Outgoing, Happy disposition, friendly, passionate and very vocal!!! Polite way of saying I can often be very loud!! Especially my laugh!! Rob -How did you first get into archery? Trish – It all started when we had new neighbours who were members of the NFAS, when you have two young sons and the folks next door are in the back garden practicing their Archery… it was inevitable that the boys were going to be interested…. The eldest son started first and after a while and after walking round some shoots with him… my youngest son and I then decided to have a go… and the rest as you say is history….. 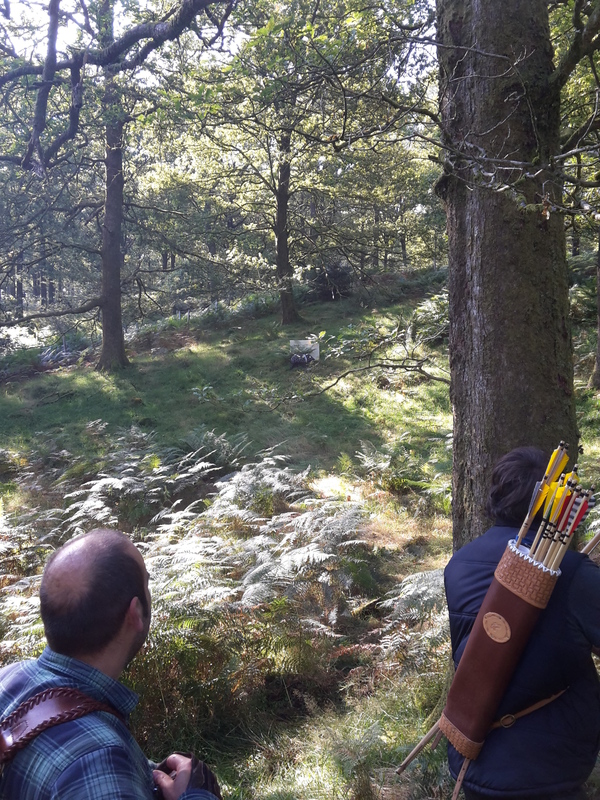 Rob -You shoot in a number of different classes in the NFAS and other organisations, but what makes archery such an ongoing draw for you? 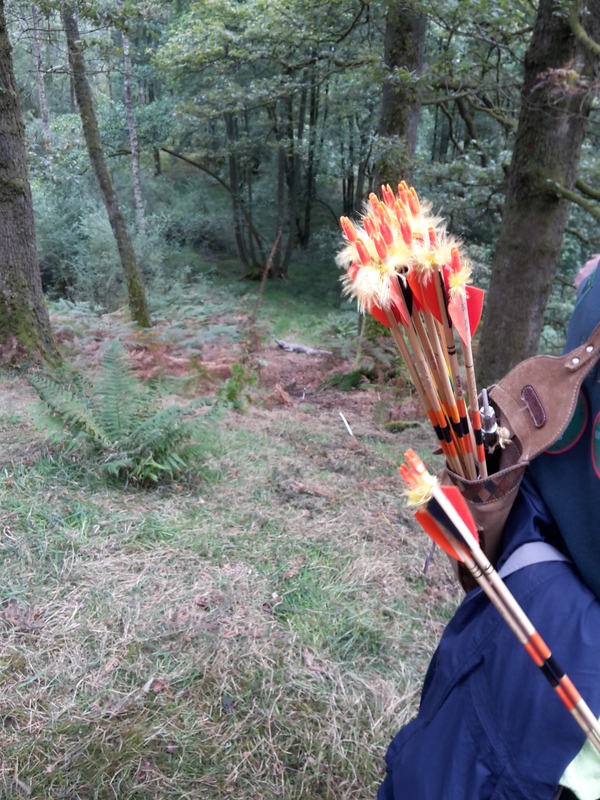 Trish – Archery to me is fun and a way of getting out and about and seeing the countryside and visiting other countries….. being able to try different bow styles makes it even more interesting……. but no matter what you are shooting it is always the fun of pitting your skills against the course layers….. who often get one up on me and therefore the aim is to try harder next time so the challenge continues….. Rob -Can you explain what your love or passion is that drives your interest in archery? Trish – Archery is something that can be done by all age groups and abilities and is a wonderful way of making friends and helping others to enjoy a wonderful sport. I love helping others and if i am doing it whilst doing something I love to do…. then its a win,win situation. Rob -If ten years ago I’d told you where you’d be today, how do you think you’d have responded? 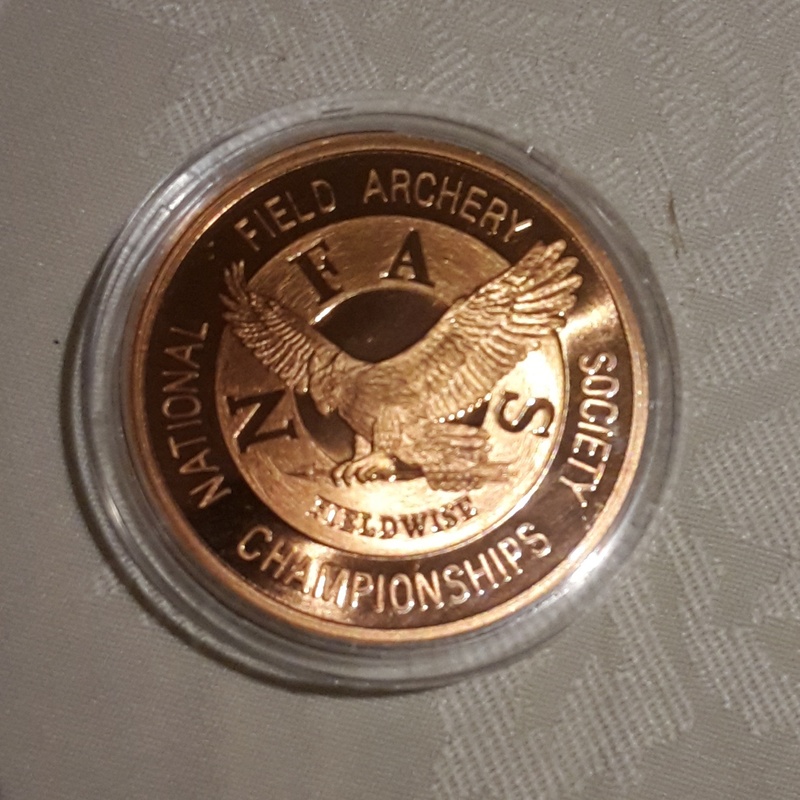 Trish – To be honest when I started which is nearly twelve years ago now, If you told me then that I would be the President of the NFAS, won medals abroad, and several 3D champs and National Titles in different shooting styles I would have just laughed at you…….. I was not a natural archer and through persistence and perseverance and pure determination i managed to get were I am today….. and am very proud of all that I have achieved. Rob – I find that an interesting and telling statement as many who see your successes might find it hard to believe you didn’t have an aptitude for the hobby. 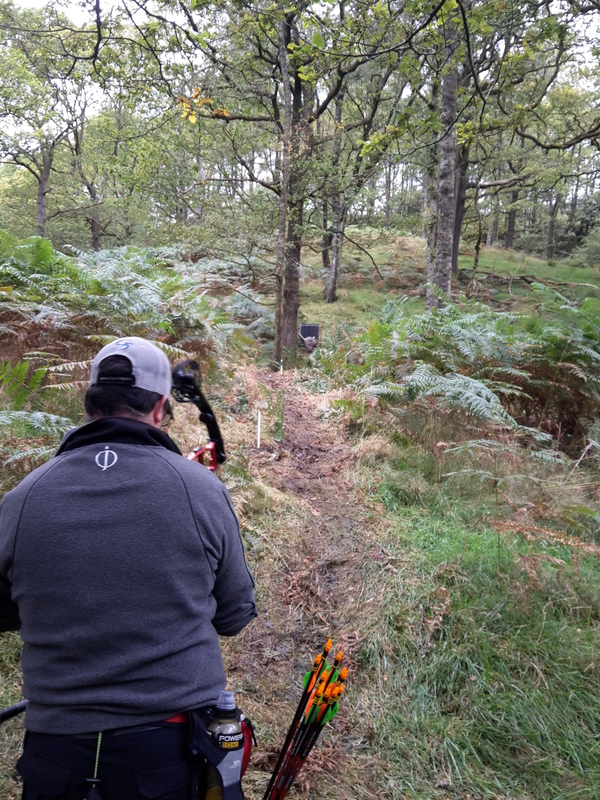 Rob – so do you consider yourself an instinctive archer basing shooting on how it feels at the time rather than a conscious process of steps which some people follow for distance judgement etc. ? Trish- yes I am defiantly instinctive, and have no idea how I do what I do, I look at a target aim and when it feels right I let go!!! If I missed judged it then I try again…… simple as that! Rob -We all face our own challenges in life. What do feel has been the biggest challenge you’ve encountered to date with your archery? How did you overcome this challenge? Trish – The biggest challenge I have ever faced is trying to maintain the NFAS as a Society that is Family friendly and Inclusive to all ages and styles and abilities….. as this is why the Society was founded in the first place…… and my way of overcoming this challenge was to become the president….. through experience, hard work and pure bloody mindedness i hope that I am helping maintain the NFAS ethos but still allowing it to progress. Rob – I know there is more than just archery and the NFAS. When not out shooting or coordinating a national society what do you enjoy doing? 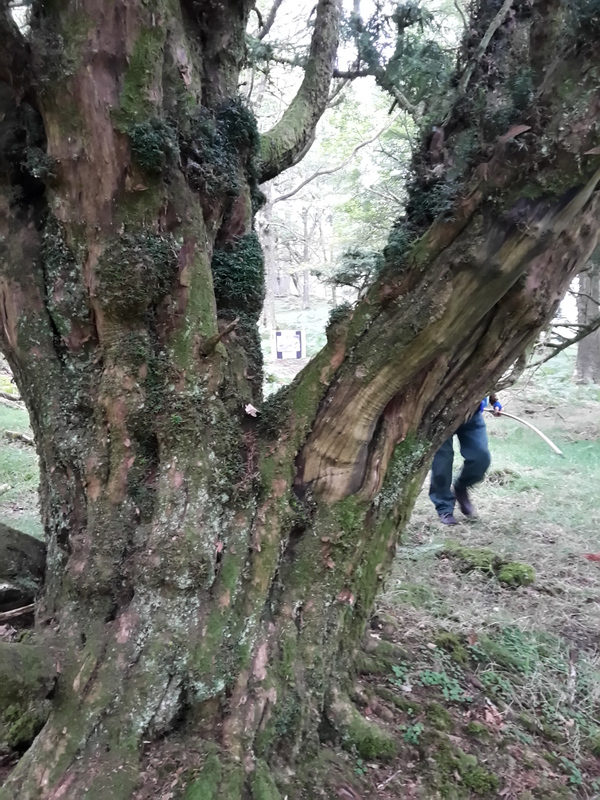 Are you out walking or a secret foodie at heart? Trish- I enjoy swimming, walking and the occasional baking of cakes, but to be honest most of my free time is dedicated to Archery in one form of another. Rob -If you could reach every newbie archer out there with one single piece of advice what would it be? Trish – Have fun, enjoy your archery and just be the best that you can be. For those of you who aren’t aware of What the NFAS is I’ll do my best to try and explain. 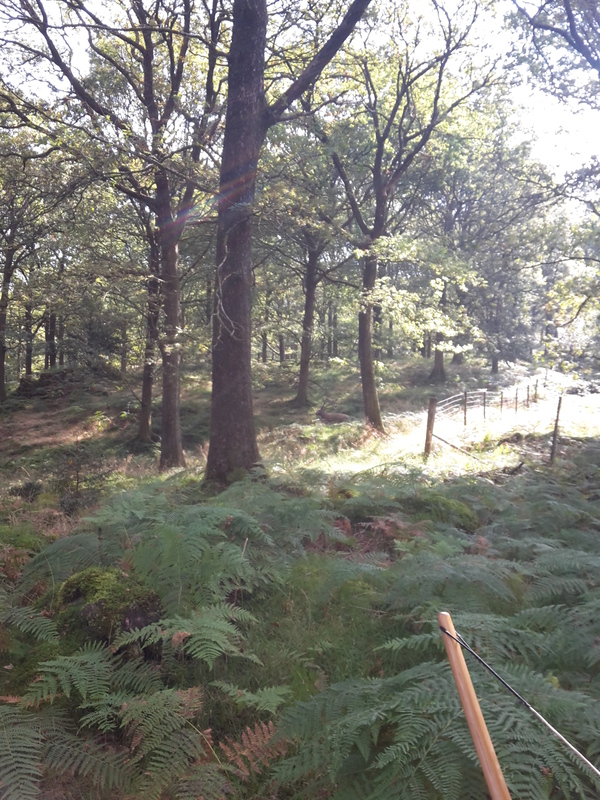 The NFAS is a national society set up to support the hobby of field archery across the UK. There are clubs from Cornwall to Scotland with over 6,000 members national wide. Every weekend there are competitions up and down the country and each year it holds 2 national championships, the 3D champs in late May and the Nationals in September. July this year saw the Draig Goch club hosting a two day shoot, billed as the NFAS Welsh Championships. Their hope is to make this an annual event in the NFAS calendar. Apparently there used to be such an event years ago but not recently and it is hoped that this event might rekindle that flame of interest. Let’s hope so. So this was to be the first NFAS Welsh Championships we’d been to and we were looking forward to it. Partly because of it being a new club that Sharon and I hadn’t visited and partly because of liking the idea of there being a Welsh Championships, on par with the Scottish, 3D and National Championships. The Draig Goch club is situated in the North Wales countryside not far from the coastal town of Rhyl. 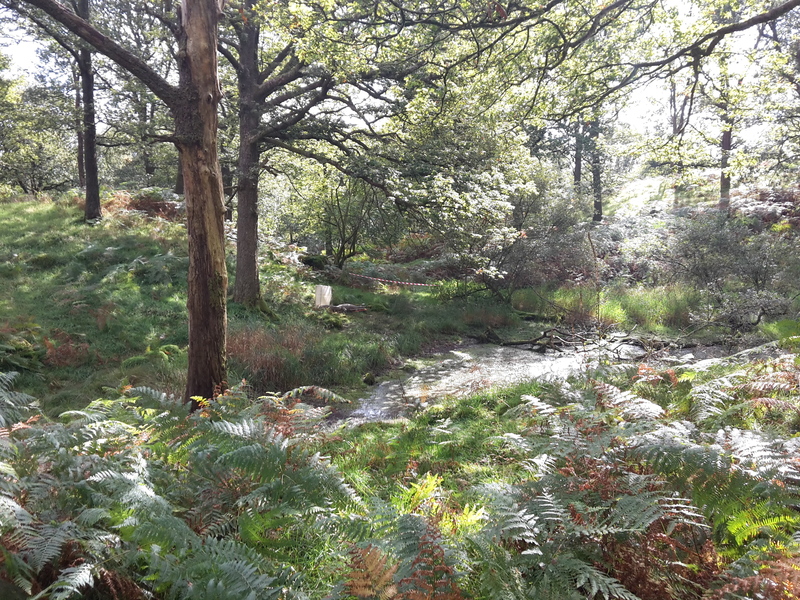 The club grounds consist of what appeared to be a beautiful woodland consisting of a mix of broadleaf mature woodland along with some densely packed coppice area. Sadly the heavy rain over the previous few days caused organisers to rethink the parking arrangements; the original plan was to use a local farmers field. Unfortunately this didn’t work as one marshal discovered when he drove on and promptly became stuck fast in the Welsh mud. Apparently it took them several hours at the end of day one to get his car out. The only solution was to park along the country lane by the shoot ground which didn’t go down well with some locals. Unlike some of the other attendees who were camping or staying along the coast, we were staying a short drive away at my Mam’s house. 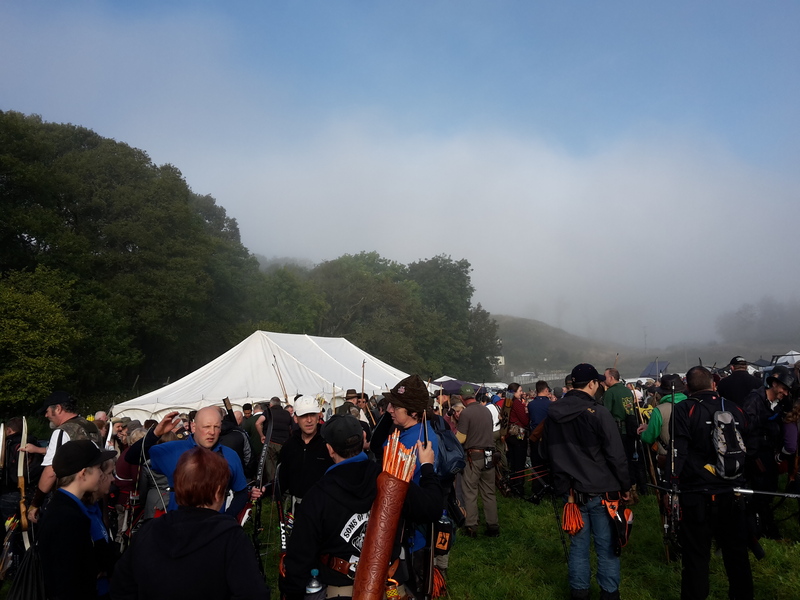 Considering it was the first Welsh champs, the event was well attended with approximately 150 archers from all over the country making the trip. Saturday would be a long day partly due to the weather and partly due to the holdups on shots, as we waited for the group in front. The day started dry and with the customary booking in and waiting for the start. If, like me you are Welsh then you expect it to rain, liquid sunshine as I’ve heard it called on several occasions. Saturday this liquid sunshine was present from about midday until the late afternoon. The effect this had was to make a very challenging course even harder. It also slowed the shoot for many, ourselves included. as people took more second or in some cases third arrows. Sadly it also meant I didn’t get to take as many photos as I’d have liked. So apologies for that, but my phone’s not waterproof. (Note to self, next phone I get needs to be waterproof). The course consisted of 40 targets, 38 3Ds and a couple of 2D hessian targets. The shoot didn’t start until quite late in the morning compared to other shoots, being past 11am before we actually commenced shooting our first target. I think they may have been waiting for some late arrivals. 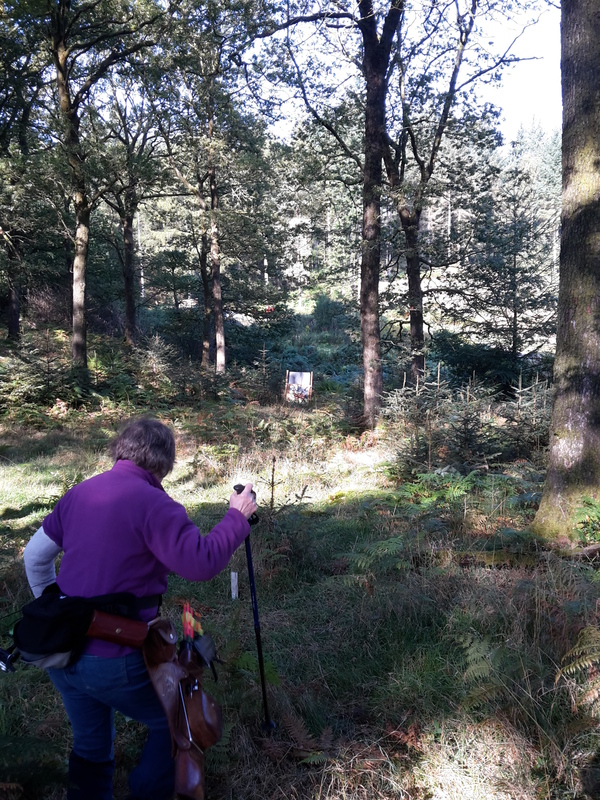 Sharon shooting the large 2D bear from the white peg. We would start the championships on target 15 a small 3D rabbit set under tree canopy. Our shooting group would be quite small, with just Sharon, myself and a father and son team of Nathan and Harry, shooting freestyle and compound limited. I’d like to say how much of a pleasure it was to shoot round with these two. Harry should have been shooting form the junior pegs, but instead wanted to test himself and shot every target as an adult. What’s more he got quite a few despite the distance. After only a few shots we were at catering for our first stop of the day just before mid-day, little did we know that due to delays on the course we wouldn’t get to have lunch until nearly 4 in the afternoon. Despite the woodland being pretty flat, it would prove to be a tiring day which I think was partly due to the number walk backs on each shot and partly due to the number of shots you were taking. Due to the distances and target sizes you were often taking 2 or 3 arrows. Fortunately in late afternoon the weather improved and the liquid sunshine departed and we even saw some clearer weather. We would eventually finish shooting by 5:45 and I know others were still to come off the course. We headed back to my Mam’s house, taking over her airing room to dry our boots and outer layers in readiness for Sunday. Sunday would see actual sunny weather with it being fine and dry all day. One observation I made on the Sunday morning when watching archers warming up on the practice bosses was that none of them were aiming for the closer targets. All were going for the two furthest bosses whilst on Saturday morning archers were shooting at all of them. Maybe this was an indication of how archers perceived the shoot and there were no short targets. I commented on this to a few and they agreed with my observation and conclusion. The placing from the previous day were posted up by admin for those interested to see how they had fared compared to others. The course shots didn’t change that noticeably on Sunday with a few peg changes, though the organisers reversed the route round the woods. Not sure if that worked as well as they thought or hoped for. Harry didn’t hit with every shot. Our shooting group would be the same as the previous day though we started on a different peg. Our second shot of the day would be the big bear which was a little closer than the previous day so about 65 yards. This was the club’s first attempt at running an event on this scale and I know they put a lot of effort into it. I’ve shared the following feedback directly to the club and event organisers. Overall I feel there were way too many walk backs on the course; of the 40 targets we shot I think 39 were walk backs on each day (people who were wearing FitBits commented on walking around 7 miles each day). True, there are times you need walk backs due to the access to the shot or for safety, but I didn’t feel it was needed on many of the targets as there appeared to be space for some to accommodate a different walk off. I am guessing they may have done this to make it easier to reverse the course direction on the second day. Having since communicated with the organiser, they confirmed this had been their plan, but it didn’t flow as well they’d hoped. Secondly would be the use of target bosses behind the 3d targets to catch wayward arrows. Their presence should be applauded and I would love to see them at 3D championships to speed the recovery of arrows. 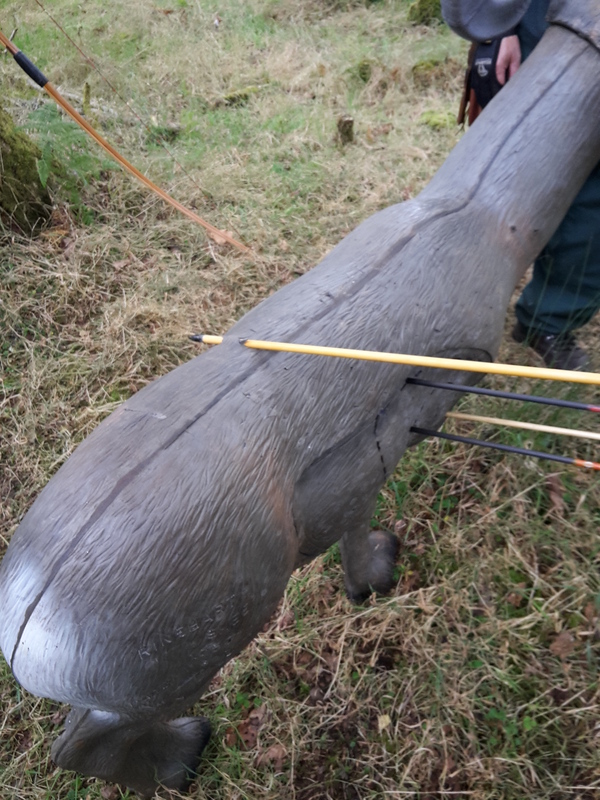 It needs to be remembered that if you are going to use them to catch arrows, they must be secured or staked to the ground, with the wood to the side not the top and bottom. 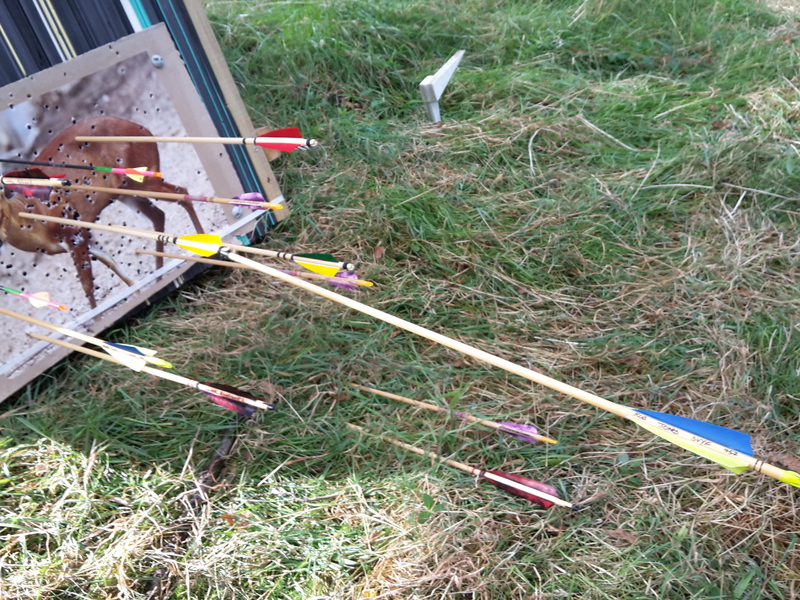 I know on the second day we spent 15 minutes on one target extracting 2 arrows that had embedded into the wood frame after going under the 3d target. I did hear other archers comment how bosses had fallen when trying to draw arrows. Again this is a learning curve that many clubs go through and can be easily solved in the future. Probably most importantly were the distances targets were set at. 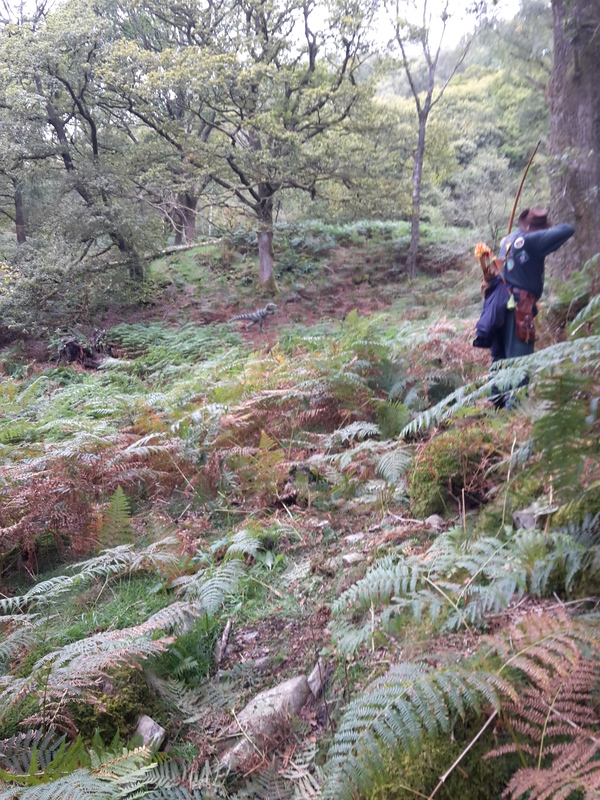 I know it was a championships course so it should be challenging but there is a difference between challenging and stretched for those shooting traditional style bows. Ok so those are my thoughts and feelings on the matter. Agree or disagree as you see fit. I offer them in support of the event, an event that I feel has so much potential to become an annual championships in a beautiful woodland. As I have said I have written to the organisers directly and given them this feedback and to their credit they have responded, hence more comments. I think it is important to remember that there were many things that worked well so please don’t read this and think it is all negative, because it wasn’t. We got to shoot with a couple of lovely people and meet up with friends. Catering on both days was effective, very friendly and not overpriced which you sometimes see at shoot. 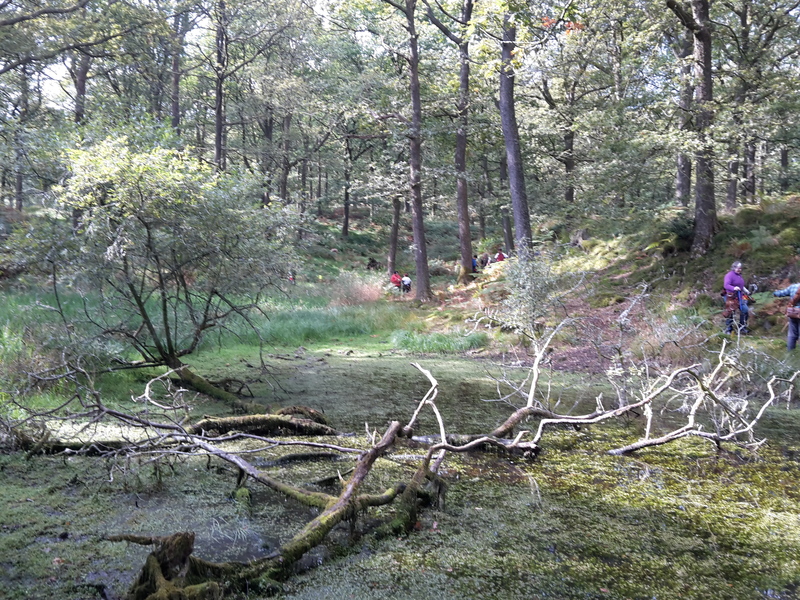 The woods are quite simply beautiful and they have great facilities. Routes and paths were clear to follow though I didn’t feel swapping directions on the second day resulted in the perceived change they wanted. Maybe in future keeping the direction the same would prove better as the archers would be more familiar with the course route and less likely to become lost or stray. All of the marshals we spoke to were friendly and helpful, willing to stop and chat. I really liked the simple slate trophies, maybe that’s the Welsh man in me. On a very personal and probably patriotic note, I would love to see a Welsh championships thrive in the field archery calendar. Draid Goch have the grounds and I hope the capability to produce a great event in the future. Ok there are a few things they might want to work on, but that can be said of many shoots. No one gets it perfect first time, that’s why we have a second and third arrow in our quiver. Sharon shot well, winning ladies AFB and I managed to scrape a 2nd place in gents AFB.